A multimeter is a measuring instrument that has several measuring functions in a single unit. Multimeters come in two types: analog and digital, with digital multimeters being the most common due to its affordability and precision. 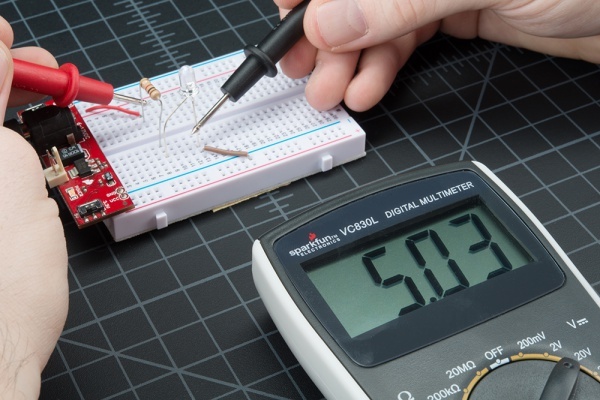 Most multimeters would also be able to measure voltage, current, and resistance. You can use this for basic fault finding and for field service work. In addition, you can use this to troubleshoot electrical problems in devices such as electronic equipment, power supplies, and wiring systems. Made in Taiwan, this digital multimeter by Brymen is a perfect combination of compactness and functionality. Firstly, features like a tilt stand and battery access cover, make it very user-orientated. In addition, the backlit display and ergonomic design ensure that you will have a good user experience. Moreover, the device has a high accuracy and the ability to record and maximum and minimum readings. Lastly, the device has a high-impact fire-retardant enclosure to ensure the highest safety and durability standards. You can trust this Brymen digital multimeter because of its high performance and its many features. Some of these features include the ability to freeze the display reading to view at a later time, and the ability to measure digital logic levels of up to 1MHz. 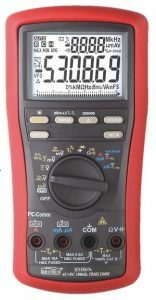 You can use this multimeter comfortably with its ergonomic design. There is also a large LCD display to ensure an easier reading. 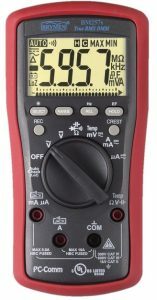 If you would like to know more about the functions, specifications and performance of this multimeter, check out our next post for a detailed and comprehensive Brymen BM869s multimeter review. We hope that you have learnt something about one of our products and the multimeter products that they carry on our Eezee platform. Stay tuned to our other articles where we share tips, tricks, and information about Eezee and the industries! You can find and purchase the products mentioned in this blog post on Eezee’s procurement platform. Eezee.sg, Singapore’s first B2B platform, offers a secure marketplace for buyers and sellers of industrial hardware and supplies. With Eezee’s help, you can compare the product offerings and listings using the fully integrated search engine. Please click here if you would like to know more about Eezee.sg. This article is was written in order to highlight our merchant and is not sponsored. Please do not hesitate to contact us here if you would like your company and/or your products to be featured.